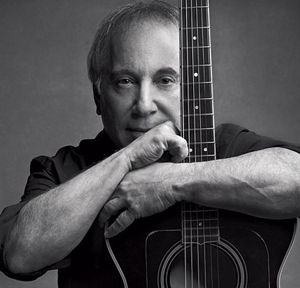 Paul Frederic Simon (born October 13, 1941) is an American musician, actor and singer-songwriter. Simon's fame, influence, and commercial success began as part of the duo Simon & Garfunkel, formed in 1964 with musical partner Art Garfunkel. Simon wrote nearly all of the pair's songs, including three that reached No. 1 on the U.S. singles charts: "The Sound of Silence," "Mrs. Robinson," and "Bridge Over Troubled Water". The duo split up in 1970 at the height of their popularity, and Simon began a successful solo career as a guitarist and singer-songwriter, recording three highly acclaimed albums over the next five years. In 1986, he released Graceland, an album inspired by South African township music. Simon also wrote and starred in the film One-Trick Pony (1980) and co-wrote the Broadway musical The Capeman (1998) with the poet Derek Walcott. All lies and jests, still a man hears what he wants to hear and disregards the rest. But proof is the bottom line for everyone. I believe it's no good to talk about your songs; it's wrong. You should leave your songs alone and let them say what they say; let people take what they want from them. I get all the news I need from the weather report. I'm more interested in what I discover than what I invent. Improvisation is too good to leave to chance. In terms of quality of work, experience is an advantage. But when the whole culture changes its value system, as ours has been doing, you can evolve in a way that's appropriate for your age and still wind up as an artifact. It's actually very difficult to make something both simple and good. Much of songwriting is simply a mystery. One man's ceiling is another man's floor. Sometimes even music cannot substitute for tears. We work our jobs, collect our pay; believe were gliding down the highway when in fact, we're slip sliding away. I can think at all. Dreamhost is upgrading our shared web server's operating system tonight at 11 pm EDT and says KGB Report may be unavailable for approximately 30-40 minutes. Life is full of disappointment.